If you are thinking of taking up badminton as a sport to sweat it out and work on your fitness, good job! PV Sindhu would be proud of you. But if you have no clue about where to go and play, don’t worry, we have you covered. 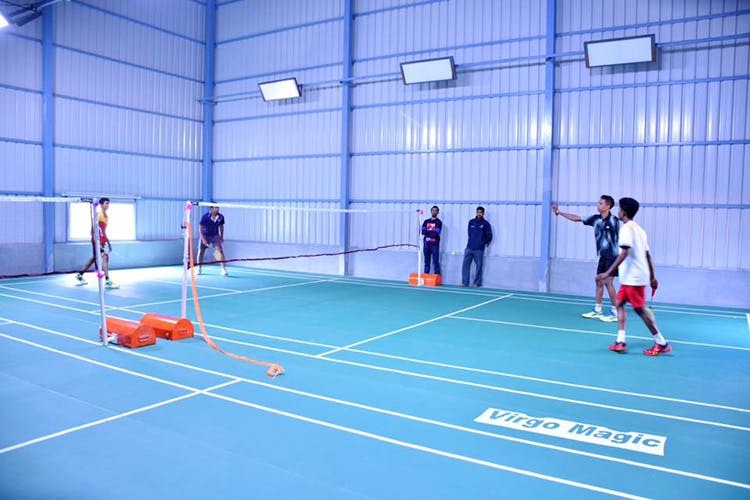 We have listed out a few of the popular badminton courts in and around Bangalore. Get your racquet ready, guys! This indoor sports arena has 10 wooden badminton courts and is frequented by both serious and casual shuttlers. Apart from this, the arena also has a seven lane semi-Olympic Size swimming pool as well. If you are bringing your kids along with you, there’s a kid play area as well. After a tiring game, you can always relax at the pool-side cafe. This is a popular shuttlers haven in Sarjapur Road. It houses four indoor badminton courts that are usually crowded after 7 pm. You can find a lot of amateurs as well as beginners learning the game from the coaches here. Another popular shuttler haven off Sarjapur Road, Namma Shuttle has everything from three synthetic badminton courts to play to badminton racquets on rent to coaching, lockers, and beverages. This play is always crowded. Getting a slot after 9.30pm is like winning a 10-crore lottery. If you are anywhere near Koramangala, HSR or Sarjapur, your badminton needs are sorted with Smash & Sprint. It houses five synthetic badminton courts that not only host regular games but also tournaments. In case you are looking to compete, you know where to go. Situated next to Bellandur lake, Play Arena arena has four indoor synthetic badminton courts for you and your friends to smash some shuttlecocks. It’s usually not crowded on weekdays, so in case you can’t book a slot on other courts, there’s always Play Mania. For folks at Marathahalli and nearby areas, Active Arena is one of the best places to serve and smash. The arena has four courts with PU flooring, so be sure to pack the right pair of badminton shoes. If you are coming directly from work or going to work even, you can make use of the locker and shower facilities.